Glen Andrews Garry Mason National Hall of Fame Inductee! Just an update. 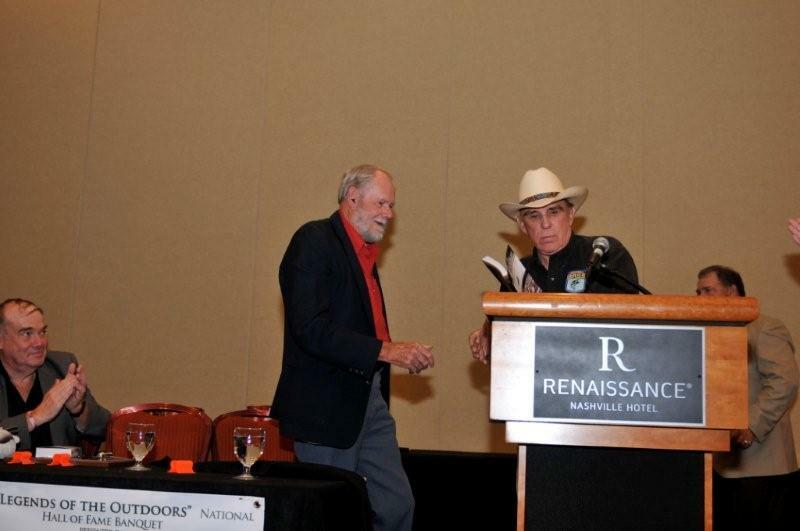 The name Glen Andrews will now and forever be enshrined in the Legends of the Outdoors National Hall of Fame in Springville, TN. The ceremony took place on August the 14th in Nashville at the Renaissance Hotel under the direction of Garry Mason the Hall founder and director. Hall of Fame Inductees: Glen is second from the left about Garry Mason. Judy Wong is in the gold. It was an eventful day filled with lots of music, speeches and good food. Many famous personalities were inducted and introducing inductees. Some of the fishing legends included Hank Parker (two-time bassmaster champion), Judy Wong (one of two other anglers who has successful defended her title the following year), Gary Yamamoto (a famous lure manufacturer) and Ray Scott, who flew in just to introduce Dad. I was surprised and honored to be presented with the annual “Legacy Award” for my efforts to keep Dad’s legacy alive through our book An Impossible Cast. 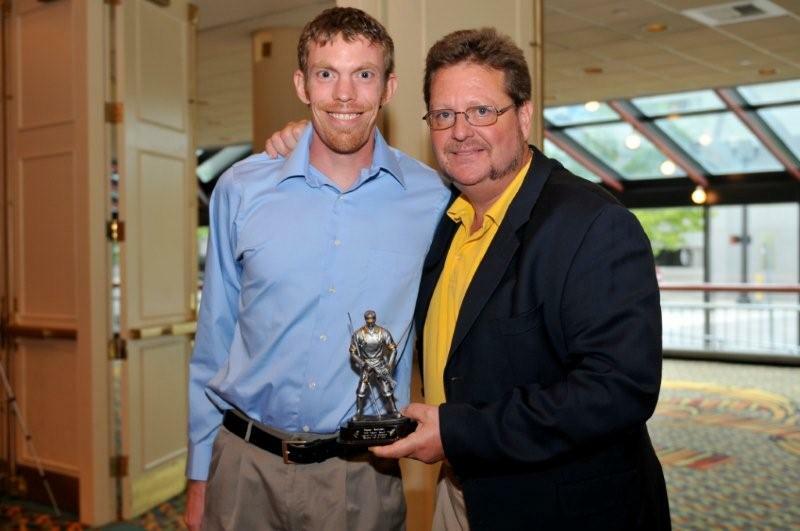 The award is bestowed to only one person a year and is a great national honor. It is official, I am now an Award-Winning Author. Dad has also been included in The Arkansas Encyclopedia of Culture and History organized by the Central Arkansas Library system. We wrote the article, so check out the link above if you have a minute. Our next targets are the Missouri Sports Hall of Fame, Freshwater Fishing Hall of Fame, Pro-Fishing Hall of Fame, IGFA Hall of Fame and Arkansas Outdoor Hall of Fame. We also have interest from another national magazine and a TV show on RFD TV. www.legendsoftheoutdoors.com — This is Dad’s HoF write up. Call anytime for autographed copies and don’t forget, EVERYONE has a friend who has a birthday, or in need of a present. A lot has happened since the last two blog entries. We had a great book signing at Shiloh Museum in Springdale, Arkansas and, if you’ve been keeping up then you know, in addition to bassfan.com,Tulsa World and ESPN Outdoors, that Bassmaster.com did a fantastic piece on Dad and our book, An Impossible Cast (links to these four are all in this blog). Some things you might not know is that Flip Putthoff of the Northwest Arkansas Morning News put together an amazing two-page article complete with pictures of the Rogers book signing at the Rogers Historical Museum where Dad’s ’65 world championship trophy has resided for the last twenty years. Also, Linda Burlingham of the Shepherd of the Hills Gazette out of Branson, Missouri did another fantastic article on us as well. This publication is really great because they only print it every two months, giving us much more exposure time. If you live in the Branson area, you can pick up a copy at the IMAX theatre, Golden Corral or somewhere in the Grand Country complex. But, in May, something really big is going to happen. According to Sean Ostruszka, Associate Editor for FLW Outdoors Magazine, our book will be highlighted in the May issue. I think you can still get the magazine at Wal-Mart. This is obviously very exciting for us and we don’t see an end in sight yet. So, keep those cards and emails coming and continue to enjoy the ride with us. As mentioned in the February 18th blog entry, I would like to do a short piece on a very tall personality in today’s freshwater fishing world – Jerry McKinnis. Dad first met Jerry at the ’63 World Series on Bulls Shoals Lake at Bull Shoals, Arkansas. He was the dock manager there and was also on the governing committee for the World Series led by tournament organizer, Hy Peskin. Jerry was witness to some pretty unsavory acts towards Dad that were designed to prevent him from winning. Hy couldn’t stand handing the top-tier trophy over to a hillbilly from Arkansas for winning his precious and still fledgling World Series. In a recent conversation with Jerry he quoted, “Every move Hy Peskin played was directly to keep Glen Andrews from taking that tournament.” Jerry was pretty disgusted with Hy, his committee, and tournament after that. You’ll just have to read the book to see how that all turned out. 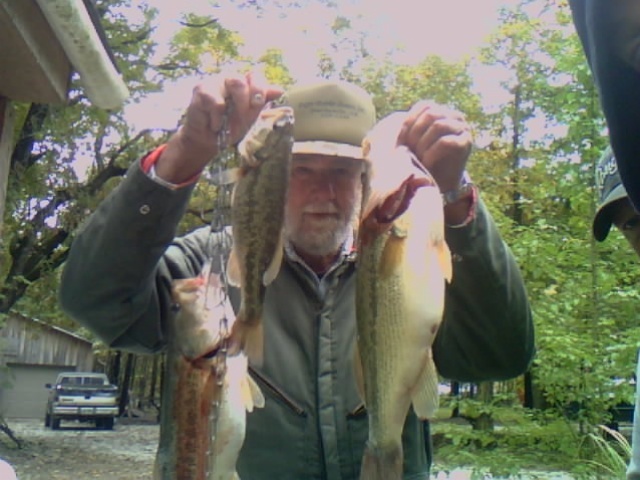 Jerry went on to run a dock in central Arkansas, and then to give five minute fishing reports on a local station that quickly germinated into a show of his own. Dad really got to know and respect Jerry around 1965 when he accepted a jested challenge from the then Arkansas state champion, Bill Rose, to come and “fish against a real champion.” After that, Dad became pretty regular on Jerry’s show and their friendship firmed. The Fishin’ Hole eventually found itself on the newly formed ESPN by 1980 and only recently (2007) was cancelled, 44 years after its inception. After Dad left the fishing industry Jerry and Dad only spoke occasionally, citing the great fishing trips and times they’d had together. Jerry is probably the busiest guy I know. I asked him a few years ago why he was giving up the show and he simply said that, “it was about number 8 on my list of priorities.” Last count I’ve heard was that Jerry’s production company, JM Associates, produces 9 shows on ESPN. Glen was the best. If he had the luxury of today’s boats and equipment, he would have changed bass fishing even more than he did without it. I had a wonderful career and I owe a lot of it to Glen Andrews. A bass angler who had talents that can’t be taught – You’re born with it. Remember, if you haven’t purchased a copy of “An Impossible Cast” yet, do so at http://www.whitefishpress.com. Glen’s BASSography posted to Bassmaster.com today! I’ll do one more blog entry before the big book signing at the Shiloh Museum at 118 West Johnson in Springdale, Arkansas. Don’t forget it’s this Saturday, the 20th of February at 10 am till 1pm, beginning with a short presentation then the signing. If you can, tune into Kuaf 91.3 Fayetteville, Arkansas or kuaf.org live feed at 6 pm, Friday the 19th for an interview with me (Shane). No one needs to buy a book at the signing, just come and show your support. We should have some media coverage and it would be nice to show a crowd. Now to fulfil our promise of telling you about some more greats that Dad mentored. Bill Dance was just one of many well known modern-day bass fishing legends that were influenced by Glen Andrews. As mentioned in the January 24th blog, I’ll now talk about a couple of other angling icons none as the Murray Twins. Glen dropped out of the professional fishing world in 1968 to pursue other careers that actually paid money. Glen’s accomplishments occurred at a time of fishing history disarray. Nothing was left of his mark except microfilm and memories. As far as my research could tell – with the exception of Earl Goldings’ Texas State championship – no one kept logs, records or memoirs of early tournament play until Ray Scott’s first tournament in 1967 called the “All-American Invitational”. That being said, it is quite excusable to not have heard of Glen Andrews. However, for any bass enthusiast it is a little more indefensible to not know who the Murray twins are. Bobby and Billy Murray were already expert bassers when they met Glen at an unsanctioned ’68 team tournament on Greers Ferry Lake in central Arkansas. While actually organized for fun, the joust brought some of the top names in the early business: Dance, McKinnis, Cossey and the Murrays to name a few. Dad and his team members had presented the other participants with a conundrum by pouring on the dock a head-scratching herd of bass on a cold winter tournament day. How could these four guys catch their limits from this frigid water when hardly anyone else caught anything? The twins made it a point to learn the “deep and slow” method from Glen after he moved his family to Hot Springs, Arkansas for work in about ’69. It was intriguing to me that these superstars of the bass business held my Dad’s knowledge in such regard. Just before the modern era of tournament bass fishing, one angler dominated the bass fishing scene in the bass belt located in Missouri and Arkansas. In 1962, 1963, and 1965, Glen Andrews won the Missouri State Bass Championship. He also won the Arkansas State Bass Championship in 1965. Before the creation of B.A.S.S., and the BassMasters Classic, the World Series of Sport Fishing Championship was THE fishing tournament which was recognized as the test of the best anglers in the country. Glen was runner-up in the World Series of Sport Fishing Championship tournament in 1962 and 1963, and was the only two-time winner in 1965 and 1966. He was the founder and owner of Andrews Lure Company, and author of a syndicated fishing column called “Anglers World”. Glen is probably the greatest angler that no one has ever heard of. However, his influence on modern bass fishing is unparalleled by any other angler. 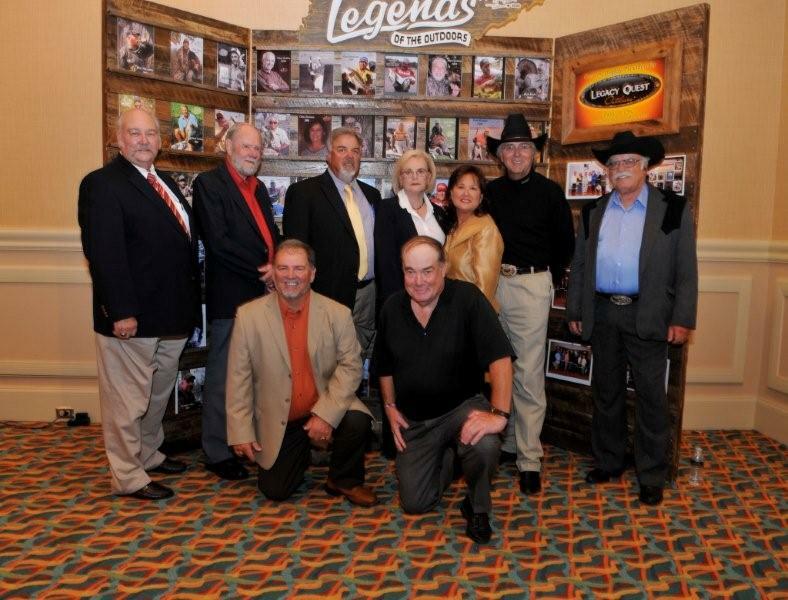 Glen mentored fishing greats such a Bill Dance, Jerry McKinnis, Bobby and Billy Murray, Don Butler, Ray Scott, and a host of others who were an integral part of professional bass fishing history. Glen helped Ray Scott organize the very first bass tournament, the All-American on Beaver Lake, Arkansas in 1967. Soon after, Glen disappeared obscurely due to financial constraints and went on to pursue other careers. 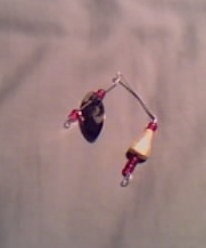 .. only to become a faint memory in fishing legend history. Glen may not be the best angler I have ever known, but he is certainly in the top two. And I would venture to say that if you asked Bill Dance, Jerry McKinnis, Billy Murray, or Ray Scott about Glen, they would hold him in the same esteem as I do. It would be a shame if the Hall of Fame membership did not recognize a person that mentored so many anglers that have been enshrined in the Hall of Fame. Glen was the first true, professional bass angler. His insights into seasonal fish migration, structure fishing, lure development and lure presentation helped forge the basis of many of the country’s leading bass fishing authorities of today. Glen Andrews is the subject of a book that is scheduled to be published in 2009. Glen Andrews is truly a worthy candidate for nomination into the Bass Fishing Hall of Fame. Glen now resides in Lead Hill, Arkansas on Bull Shoals Lake. The next blog will feature the inexhaustible, Jerry McKinnis – Google that name if you want a head start.